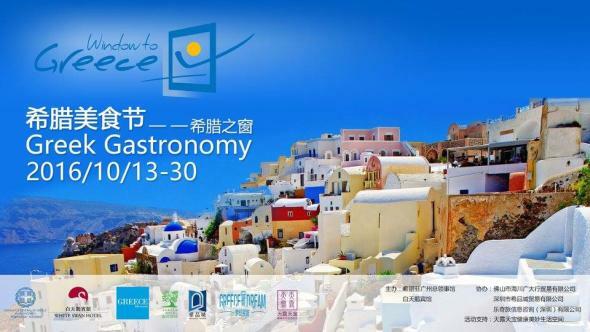 A festival of gastronomy entitled “Window to Greece” was organised on October 13-30 by the Consulate General of Guangzhou in collaboration with China’s Tourism Office in southern China. It was an initiative of the Greek Consul K.Tassiopoulos that aimed to introduce to the public in the Greek Cuisine, Greek products, wines and olive oil and promote Greece as a tourist destination. The festival featured promotional activities while visitors had the chance to taste traditional Greek dishes from all parts of Greece. The events attracted the interest of the Chinese media and food bloggers as it was the first time that the Greek gastronomy was presented in the city Guangzhou.